Hello Chicago - Book The Illustrious World Musician Jennifer Zhang For Your Event! Jennifer Zhang is a well-known Chinese American musician, model, actress, show host, emcee, social media influencer, producer and entrepreneur. 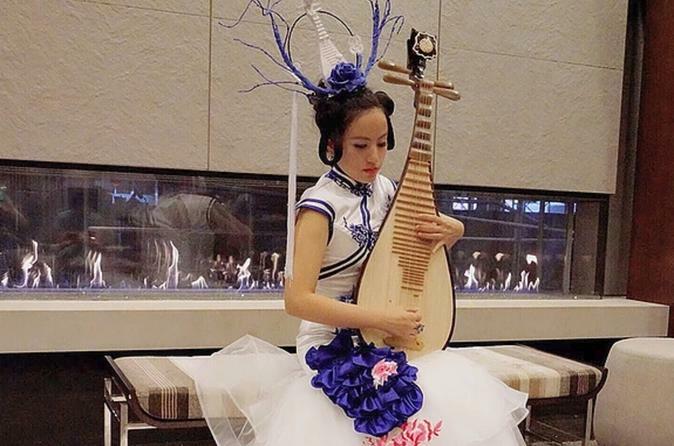 Jennifer plays a variety of Chinese instruments such as the Chinese transverse bamboo flute (dizi), Chinese vertical bamboo flute (xiao), Chinese bottle gourd silk (hulusi), Chinese reed flute (bawu), Chinese lute (pipa), Chinese zither (guzheng) in addition to the piano. Furthermore, she is an accomplished vocalist and songwriter. Her musical journey started at the tender age of four under the guidance of China’s top-notch professors, such as Chunling Lu (dizi), Yue Chen (xiao), Xiaosheng Zhao (piano) and Baili Fang (piano). She graduated from Northwestern University with her bachelor's degree to later pursue advanced studies in Songwriting at Berklee School of Music in Boston and in Chinese Folk Music at Central Conservatory of Music in Beijing.